Get 50W of power in a versatile two-channel, super-portable head. 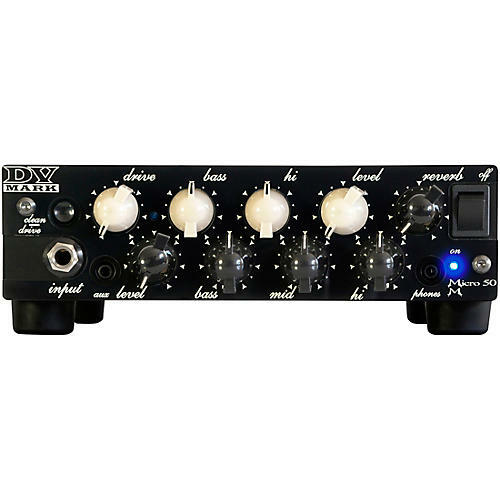 Following the extraordinary success of the DV Mark DV Micro 50, the DV Little 50 M 50W guitar amp head offers a wide range of tones, from clean to very high-gain distorted lead tones, featuring huge amount of gain and a properly scooped EQ on drive channel to fit needs of hard rock and metal players. The DV Micro 50 M features an onboard warm and sweet-sounding reverb, plus a send/return FX loop to interface your favorite stompboxes and multi-effect units. It also includes a headphone output and an aux. so you can practice anywhere and anytime you like.